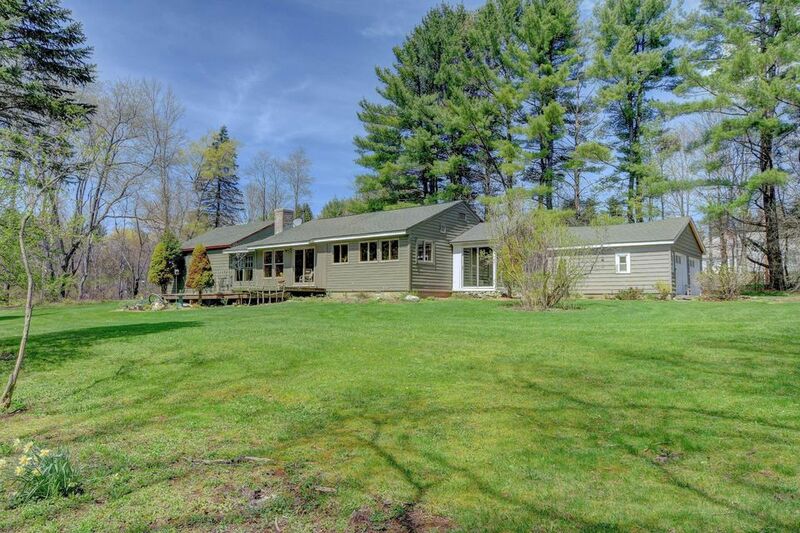 A TREE LINED DRIVEWAY OPENS TO A SPACIOUS AND SUNNY 3.7 ACRES WITH MOUNTAIN VIEWS IN THE PICTURESQUE TOWN OF ALFORD. This single level home has been totally renovated with an open plan living dining and lots of glass, French Doors to a large deck and a cozy fieldstone fireplace. Separate guest suite with private entrance and access to the main house, has a living/dining, bedroom, kitchen and full bath.Brand new propane furnace.An enclosed porch overlooks the gardens.